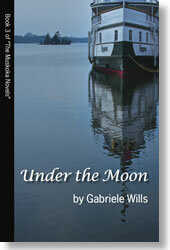 Thanks to devoted fans, there will be a celebration of my third Muskoka Novel, Under the Moon, aboard the vintage-era Wenonah II. 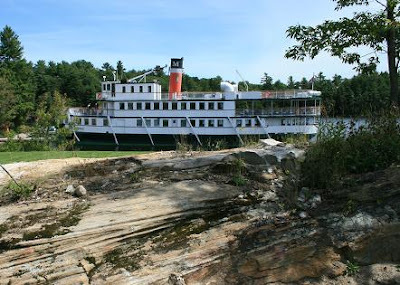 Step "into the book" and enjoy a 3-hour luncheon cruise with me on beautiful Lake Muskoka, serenaded by music of the 1920s performed by the Gravenhurst Saxophone Quartet. 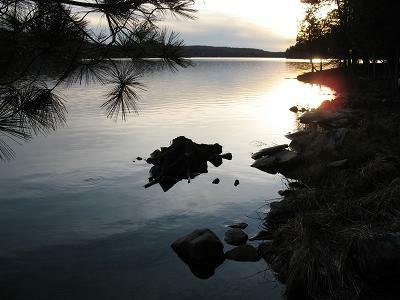 Then tour the impressive Muskoka Boat & Heritage Centre, and watch my short pictorial presentation "Fact in Fiction". Feel free to wear your favourite dress and/ or hat from the 1920s era! The cruise departs at 11:30 AM on Sunday August 26, 2012 from the Muskoka Steamship Company docks in Gravenhurst, Ontario. Lunch is breast of chicken drizzled in tarragon mushroom sauce, creamed potatoes, market fresh vegetables, bread rolls, and seasonal market fresh fruit crumble. A vegetarian/gluten-free option is also available. Call Carlson Wagonlit Stewart Travel to reserve your seat today! Buses are being arranged from Peterborough/Lindsay and Guelph. Hope to see you there!